The Caucasus mountains rise at the intersection of Europe, Russia, and the Middle East. A land of astonishing natural beauty and a dizzying array of ancient cultures, the Caucasus for most of the twentieth century lay inside the Soviet Union, before movements of national liberation created newly independent countries and sparked the devastating war in Chechnya. Charles King reveals how tsars, highlanders, revolutionaries, and adventurers have contributed to the fascinating history of this borderland, providing an indispensable guide to the complicated histories, politics, and cultures of this intriguing frontier. 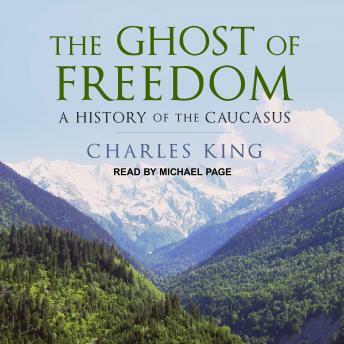 Based on new research in multiple languages, the book shows how the struggle for freedom in the mountains, hills, and plains of the Caucasus has been a perennial theme over the last two hundred years-a struggle which has led to liberation as well as to new forms of captivity. The book sheds valuable light on the origins of modern disputes, including the ongoing war in Chechnya, conflicts in Georgia and Azerbaijan, and debates over oil from the Caspian Sea and its impact on world markets.